File Types : JPG, EPS, All Files; File Size: 7.77 MB; Vector: Yes. Agricultural tractors. Three different models. Hand drawn vector illustration delivery trucks. Graphics are in High Quality 300 dpi. Vector files fully Editable and resizable. ZIP contains. 2 editable EPS8 vector files, 2 jpeg files. 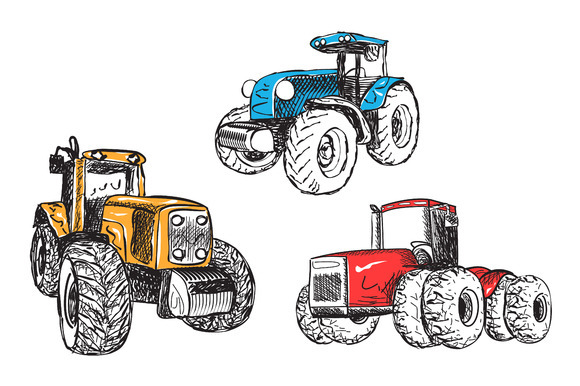 Keywords: tractor cartoon, industrial, agrarian, equipment, agricultural, transport, hand drawn, doodle.